If you are going through a divorce, you may be worried about all the finances. In particular, alimony concerns may be a pressing worry. Alimony, or, spousal support, is a payment from one spouse to another spouse. It doesn’t necessarily mean that one spouse stayed at home or didn’t work. Alimony is usually decided after distribution of assets. Even though the distribution of assets must be “equitable,” equitable doesn’t mean equal – for example, a non-working spouse might benefit from a large share of a bank account, retirement savings, and other assets, but suddenly be saddled with an equivalent share of mortgage and credit card debt, or the prospect of paying for a child’s healthcare and education. One spouse may have given up a career or an education for the marriage and be unprepared to reenter the workforce. Courts order alimony in cases of significant disparity between incomes. There is no threshold for this disparity – instead, alimony depends on factors such as lifestyle, the dependent spouse’s needs, and the other spouse’s ability to pay. Answers to the obvious questions – How long and how much? – depend upon these case-specific factors, especially the marital lifestyle. 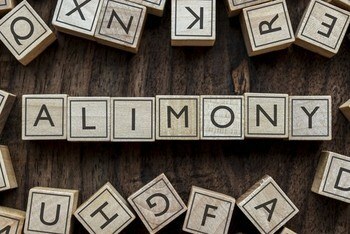 Alimony Concerns | Are there different types of alimony available? Limited duration alimony: One spouse will continue payments for a finite, prearranged period. Open duration alimony: Various triggers and conditions will determine the length of time one intended. Although attorneys, mediators, and one spouse makes payments to the other. As explained above, the amount of the payments depends upon the standard of living during the marriage, the dependent spouse’s level of need, and the other spouse’s ability to pay. The type of alimony might depend upon the length of the marriage, or on the dependent spouse’s ability and preparedness to enter the workforce. If you are worried about alimony, please call our New Jersey divorce lawyer today to get a free consultation.